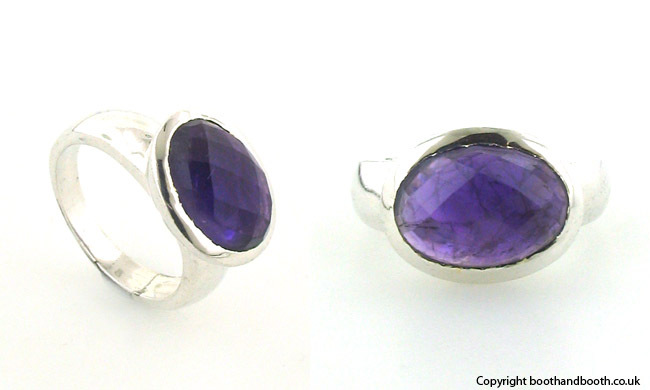 Large amethyst ring in sterling silver. 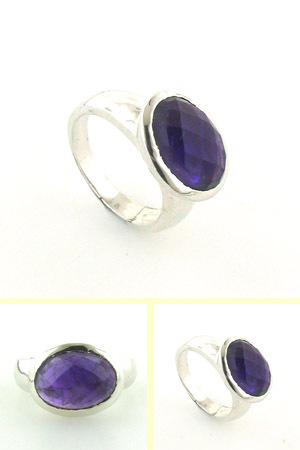 This ring has a fabulous oval checker cut amethyst gemstone. 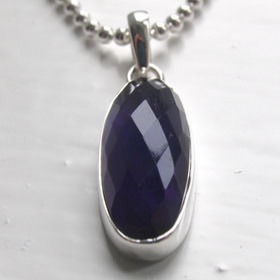 Checker cutting creates a checkerboard effect on the surface of the gemstone. 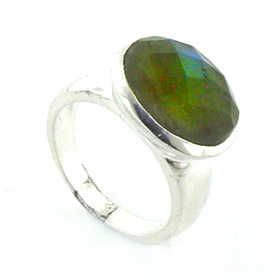 These multi facets catch the light. 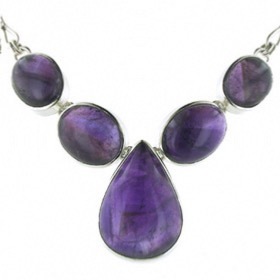 The amethyst is purple with visible inclusions. 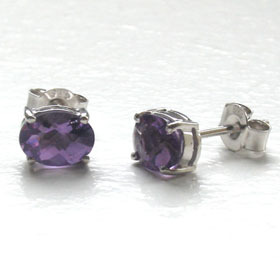 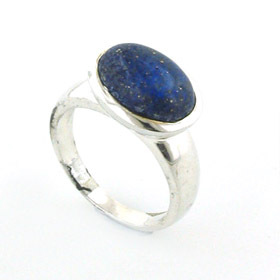 Enjoy free UK delivery on all our amethyst rings.